Built 1944 Swan, Hunter and Wigham Richardson Ltd. 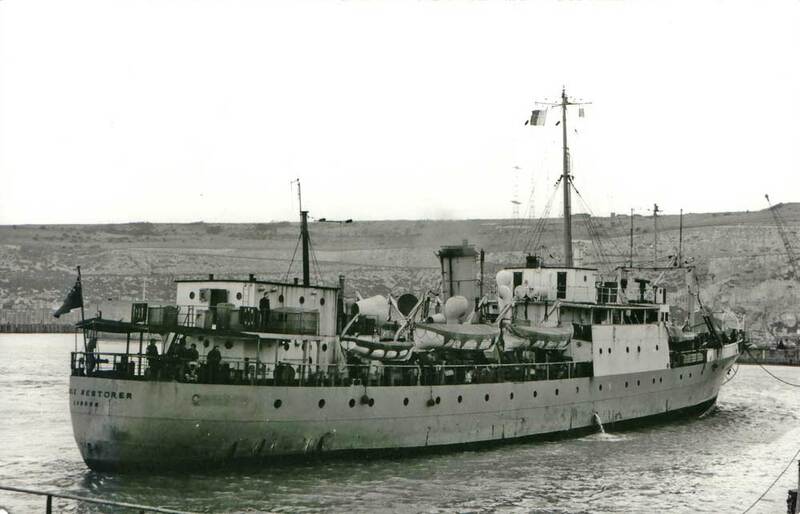 Originally named HMS Bullfrog, a sister ship to HMS Bullfinch, and used for harbour defence work during the Second World War, laying and maintaining ASDIC (Anti-Submarine Detection Committee) loops at main ports. In 1946 the vessel was sold to Cable & Wireless Ltd., renamed CS Retriever (4), and used for cable repair work. 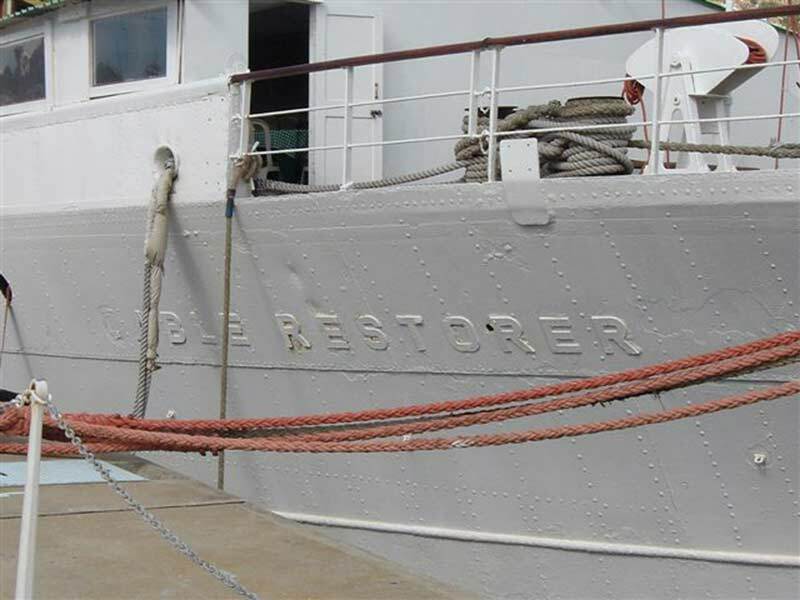 In 1961 she was sold to the Commercial Cable Company, who named her CS Cable Restorer. 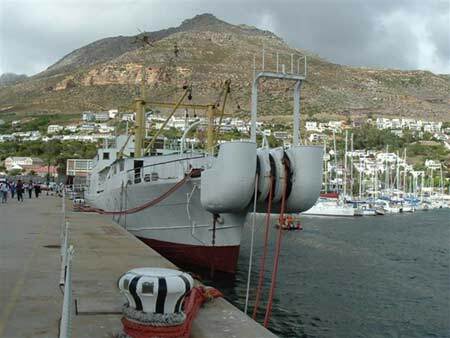 The South Atlantic Cable Company purchased her in July 1972 to act as repair ship for SAT 1, based at Cape Town. 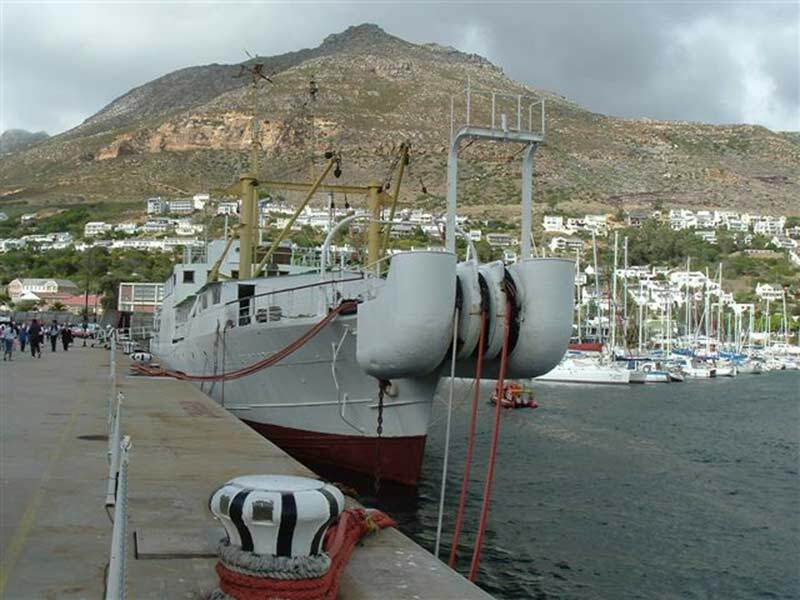 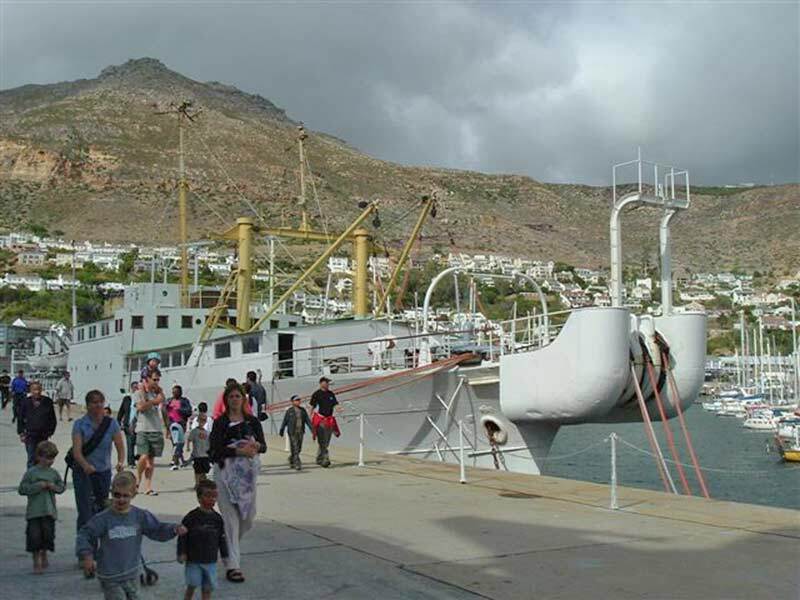 CS Cable Restorer was taken out of service in 1993 and given to the Simon’s Town Maritime Museum, where she is used as a floating restaurant. 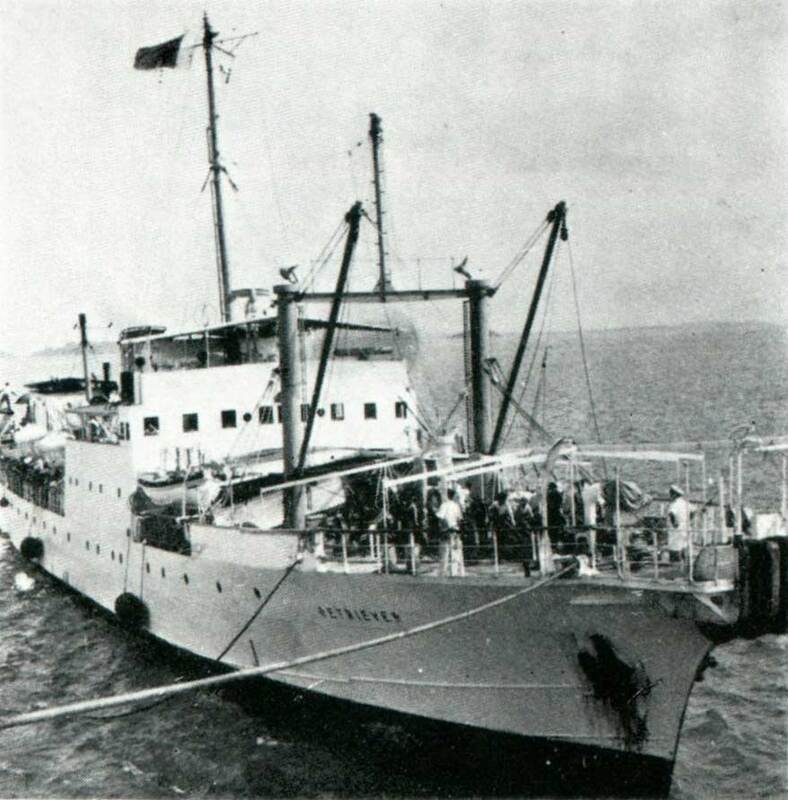 The photographs below all show the ship as Cable Restorer.